Aki-P speaks out regarding SDN48! Kis-My-Ft2 get their own variety show! Ueto Aya poses for Leslie Kee! And more! Johnny’s and T-ara make contributions for Tohoku! Nishino Kana sets a digital record! SNSD tease their new MV! And more! Niigaki Risa’s graduation to be held at the Budokan! Aki-P to hire lyricists to assist him! Megaupload is shut down! And more! More details surface on Suugaku Joshi Gakuen! A whole lot more end of year judgments, including a Festivus themed one from Selective Hearing! Happy Disco shares an academic paper on idols! And much more! it’s a Happy Boxing Day as Wonder Girls’ Nick show is set for February! Lots of readers polls are in! New Shoko Aida announces her pregnancy! And more! 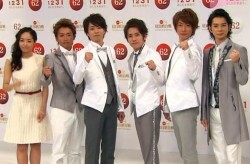 Arashi and Inoue Mao to host this year’s Kouhaku! Beat Laments the World profiles Pureful, a stage-diving heavy metal idol group! Sensei Mark rocks! And so much more! After School celebrates a thousand days – and criticism for some wardrobe choices! Koha is sick with the stomach flu! Chiima gives in to the dark side! AKB48 get on the bus! And so much more! Morning Musume’s twelfth album available for pre-order on iTunes! SUPER☆GiRLS declare revenge on a concert hall! HamsapSukebe reviews the AKB48 in Guam game! And more! 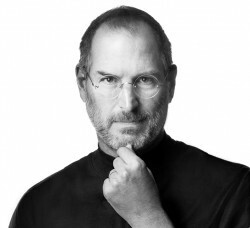 The passing of Steve Jobs, a man who helped make international wotadom possible. Also, the yakuza witch hunt goes to social media, the SNSD comeback delay leads to other delays, and much more.